Who is who at Sail due south? Shane is the professional sailor in the Sail Due South partnership. He has 7 Atlantic crossings, 2 Indian Ocean crossings and a Trans-Pacific under his belt. He also has extensive experience along the Southern African coast and has sailed dozens of worldwide cruising grounds. ​Shane’s blue water and cruising experience is backed up with years of local and international charter experience, sailing regattas and yacht building as well as both monohull and catamaran experience. 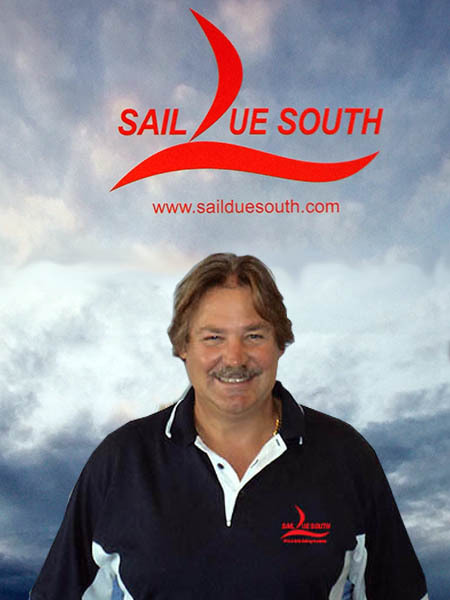 Shane oversees and manages the entire operation of Sail Due South and is dedicated to ensuring that excellence through top quality, international standard training is what Sail Due South delivers. Graham is a charted accountant and successful businessman with a passion for the ocean. He is a well-known and respected face amongst the ‘yachties’ and yacht clubs in South Africa. Graham has sailed the South African coast extensively as well as the Seychelles’ Islands, where he has his second home. He has also navigated the Northern seas from France to Antwerp. Graham works hand in hand with Shane in the running of Sail Due South, with specific assistance with finance advice – being a CA is very helpful! Dustin has been employed as an instructor with Sail Due South since 2011 and has both gained and shared loads of experience with students on-board. He had confidently moved up the ranks from Junior Instructor to Chief instructor. As Chief Instructor, Dustin run the water based operations and heads up our team of instructors. Dustin is a professional sailor with loads of experience. Dustin boasts 2 Atlantic Ocean crossings, 2 Sydney to Hobart crossings as well as extensive experience on both the Australian Gold Coast and entire Southern African coastline. Dustin also has a lot of racing experience on both dinghies and yachts. Dustin’s experience and passion for yachting is a huge asset to our students, clients and the entire Sail Due South team. Jan-Hendrik's love for sailing started at a young age, sailing with his grandfather on Hobie cats and spending time on the Brandvlei dam on weekends. After finishing school he started his sailing career at Sail Due South in 2015. He has shown dedication, eagerness and initiative. His love, passion and natural abilities earned him an internship position at Sail Due South and instructed our entry level courses up to Day Skipper. Early 2017 Jan earned his YMI (Yachtmaster Instructor) status and is now instructing right up to top level. This young man is a natural in the sailing game and a great asset to our team! ​ We look forward to watching him continue to grow at Sail Due South. Chrisjan's passion for ocean started a long time ago, as a youngster the beauty of the sea mesmerized him. He did his first sailing course in Durban back in 2012 and never looked back. 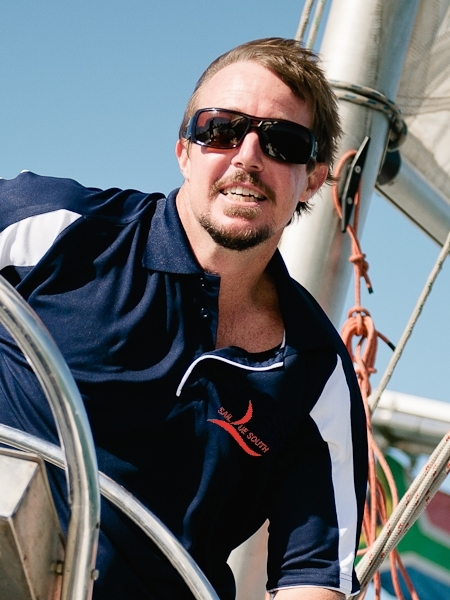 Since then he completed his Yachtmaster Offshore ticket as a student of Sail Due South. He then went on to attain his Cruising instructor ticket in 2015. Chrisjan recently (2018) achieved his RYA Yachtmaster Instructor ticket and SRC (VHF) Radio Instructors, and has joined our team full time. He has done various passages around the South African coastline and has become very knowledgeable of our local waters. Chrisjan also spent some time in the U.S.A , working in the hospitality industry in some of best hotels in Northern America. Adding huge value to the standards expected from the international yachting and super yachting industry. Chrisjan is a well disciplined skipper and takes the interest of everyone to heart. His skills and unique style, are backed up by his great sense of humor and passion for instructing. Chrisjan compliments and strengthens the Sail Due South team with all he brings to the table, both for the company and all students that pass through our doors. Melani heads up our land based operations and takes care of our Bookings and Admin at the office. She is very hard working and dedicated, always excited to get our students and clients signed up for the courses and charters they are wanting. ​Melani always goes the extra mile to add a personal touch to everyone who walks through our doors and sails our adventures. Her warm and confident personality thrives in the open and friendly environment where she works with people on a daily basis. 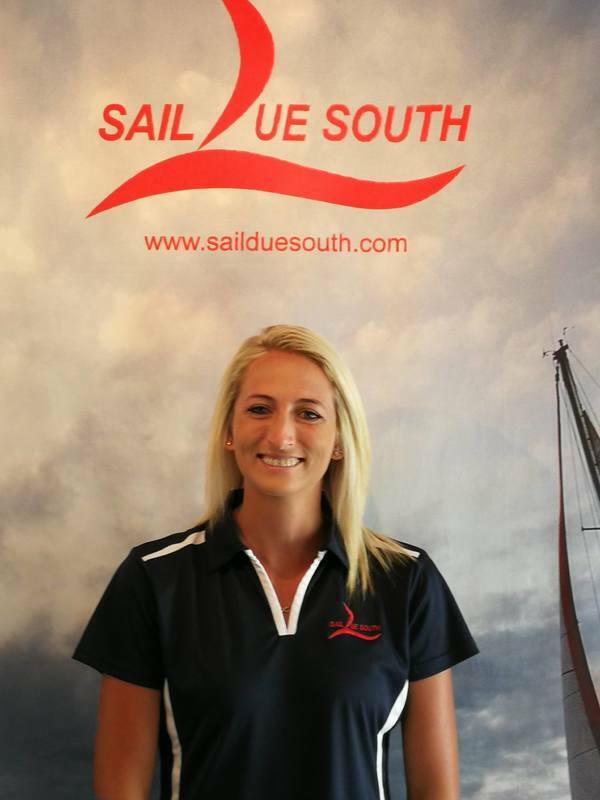 Melani is passionate about the ocean and enjoys working and learning more about the sailing industry. 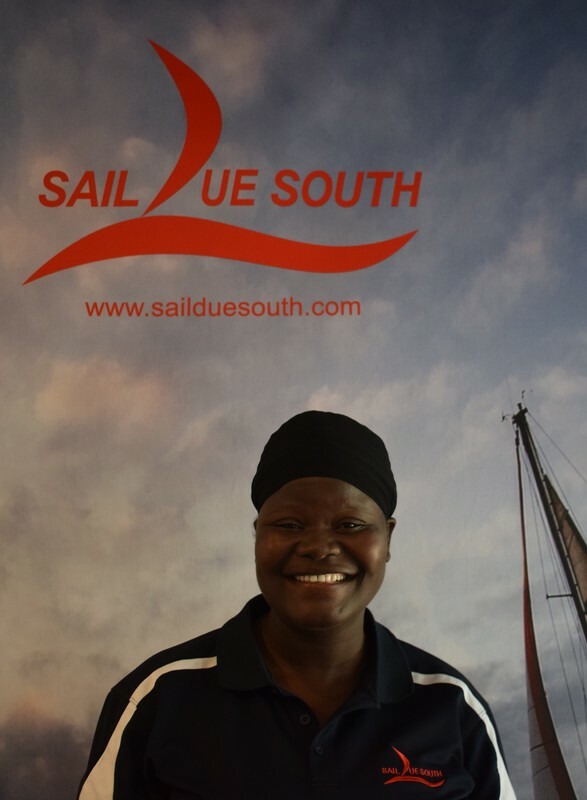 It’s a pleasure to have her on-board with Sail Due South for all students and staff. On top of her primary responsibilities, and as per every member of our team, Carmen get's involved in the academy side of things when needed. Her personal attributes include a passion for the outdoors & sea life. She is also social enthusiast with contagious optimism. Carmen is a perfect match for the adventurous and hard working ethos of Sail Due South in all it's divisions. Many years experience in house keeping. Grace is our always smiling, always friendly house keeper. She ensures that the guesthouse rooms are always spotlessly clean and beautifully arranged. Grace also 'fine-tunes' the crew house cleaning once the students have done their part. 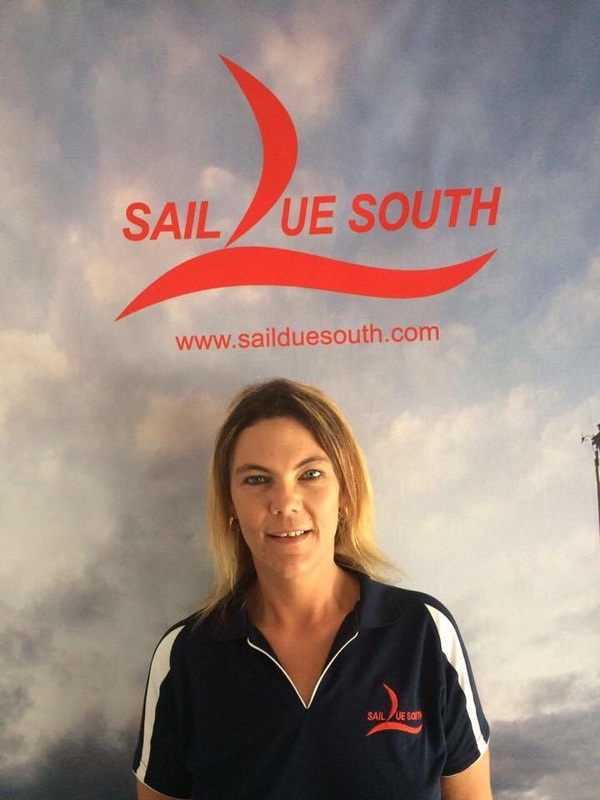 With Decades in Yacht Industry Training and hundreds of thousands of nautical miles of experience, Sail Due South is the Premier Yachting Academy in South Africa. Contact us now to discuss your future adventures.